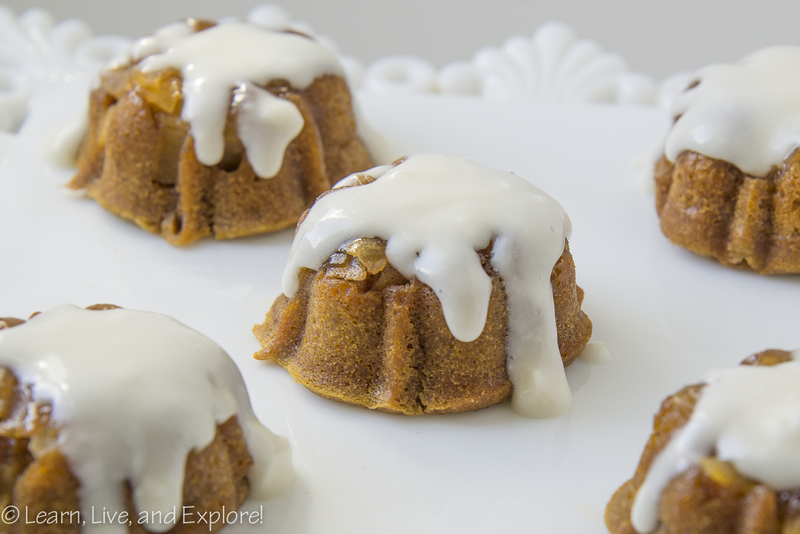 Pumpkin Apple Mini Bundt Cakes ~ Learn, Live, and Explore! I know! 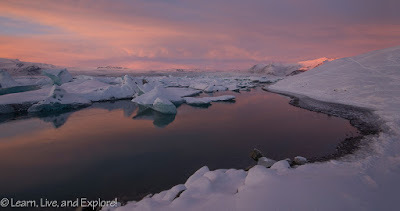 It has been a couple of weeks since my last post, which may be one of the longest breaks I have taken from writing since I started this site 4 years ago. After a very busy summer, I needed time to just be present, read some books, binge watch a new TV show, and tackle my to-do list. But, now I'm back! And what better way to start building up my energy for another busy autumn and winter than with a yummy dessert with the two fall flavor staples: pumpkin and apple. This recipe was inspired by Center Cut Cook. By using the boxed cake mix for a Spice Cake, it cuts down on the steps and ingredients, ideal for me because I was baking two different things this afternoon and had kids helping in the kitchen. With the addition of the pumpkin and juicy granny smith apples, the cakes were super moist - perhaps due to their small size. They turned out great in the bundt form, but the extra batter I put into muffin liners were actually too moist in the end. So, stick with a large or small bundt. For the large bundt recipe instructions, use the link to Center Cut Cook above to get baking times and suggestions. For reference, here is a sample of a mini bundt cake pan. I got mine on sale at the Williams Sonoma Factory Outlet store. Use a non-stick cooking spray to thoroughly grease a mini bundt cake pan. Pour a small amount of melted butter into each bundt cavity, just enough to flood the top of the form. Sprinkle a small amount of brown sugar over the butter. Add about 1/2 Tablespoon of the very thin pieces of apple to the butter and sugar. Lightly dust/sprinkle the apples with cinnamon. Mix together the cake mix, water, eggs, vegetable oil, and pumpkin in an electric mixer, on low speed to combine than on medium-high speed for about 2 minutes. Spoon the batter on top of the apples so that it is just below the lip of the bundt cavity. Bake for 20 minutes or until an inserted toothpick comes out clean. Allow the bundts to cool in the pan for 10-15 minutes before turning them over onto a wire rack to finish cooling. For the cream cheese glaze, beat the cream cheese with an electric mixer until fluffy. Add the vanilla, confectioners sugar and 1 Tbsp of the milk. Beat on medium-high, adding more milk to get your consistency preference. Drizzle the cream cheese glaze on the mini bundts.